The favored henley. Aside from denim, this might be the most talked about and favored clothing item around these parts. 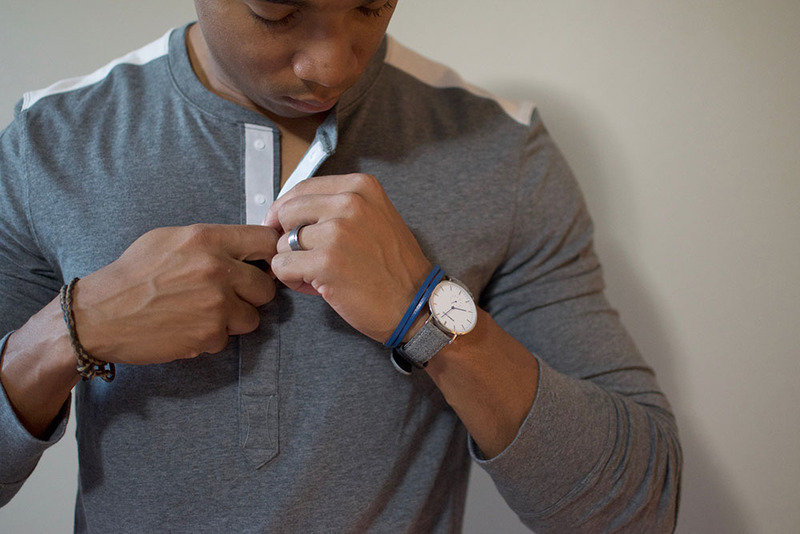 So it’s time to do a deeper dive into what a henley really is, and how to wear them. The easiest way to describe a henley is a T-shirt with buttons going a quarter way down the placket. Generally they’re 3-5 buttons. But overall they’re a great alternative to the standard tee, and have both short and long sleeve options. They come in all shapes, sizes, and colors. And whatever your favorite clothing brand is, they more than likely sell them. This is easy. You wear a henley exactly like you wear a T-shirt. They just happen to look better. In warmer weather, you can wear them on their own, without a t-shirt underneath. When it’s a little cooler out, sport a a long-sleeved henley with a v-neck solid color t-shirt underneath. 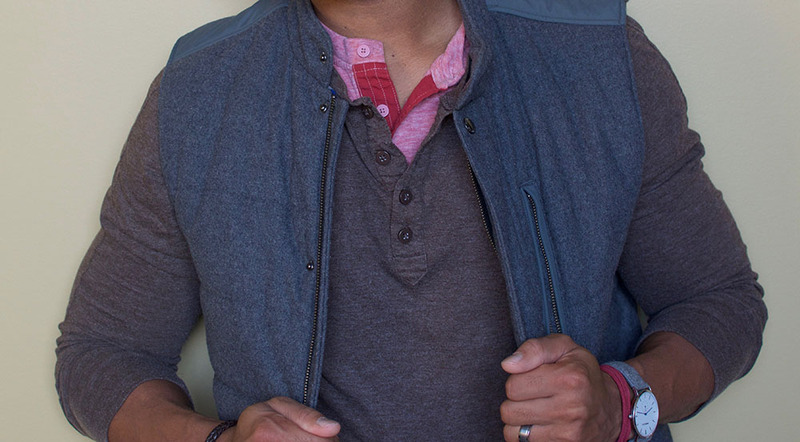 A henley is a great item to layer too. 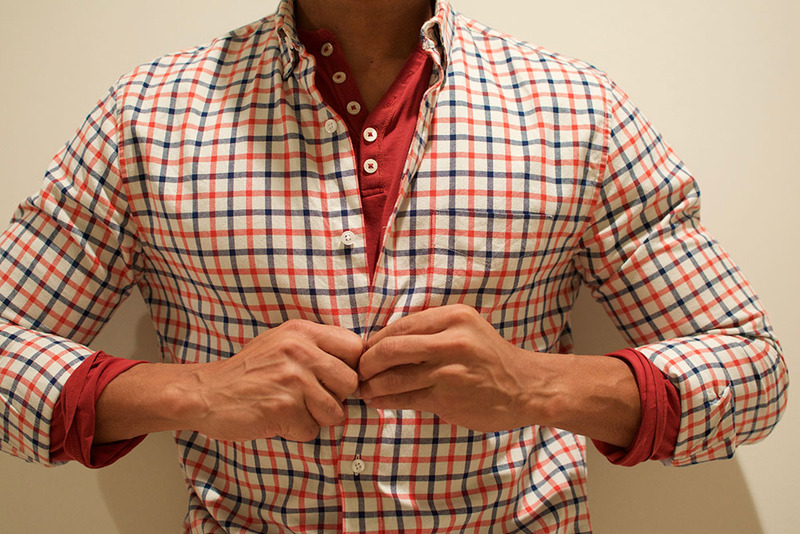 Not only can you sport a t-shirt underneath, but at the same time you can have a button down or flannel over the top. Henleys can even work under a blazer if done right. Fit wise, they normally look better when fit closer to the body. And you especially want this if you’re going to layer it underneath other items like button downs or puffer vests. One of the cool things about henleys, which can’t be said about many other types of shirts other than t-shirts, is that you can layer henleys on top of each other. And for the most part, it looks great doing so. When layering henleys on top of one another, I wouldn’t recommend stacking more than two together. The underneath henley should be slimmer or the same as the outer one or it might look odd. And make sure they’re of similar lengths too. Henleys are one of those items that you really can’t have enough of. Since they function so much like t-shirts, there’s no reason why you can’t have as many henleys as you do t-shirts. And you can find good quality ones without breaking the bank. So when you see one you like, snag it. This will always be an impulse buy approved item! There are a few other good resources for learning more about wearing henleys, so don’t just take my word for it. 3 Ways To Wear The 3 Button Henley – Alpha M.